Today, with all the technological breakthroughs, cybersecurity has become one of the most crucial and inevitable features. Payment fraud or identity theft has become common these days in E-Commerce. It is of much importance for store owners to offer their customers a safe and secure shopping environment. Cybersecurity becomes almost vulnerable if the retailers do not adopt proper protocols, their customers are at risk for payment fraud. It has become a pain in the neck for small and medium stores who face greater E-Commerce security risks owing to insufficient internet safety from cybercriminals. It has been found that many small business retailers are prone to be entangled in unfair money transactions sometime or the other and compelled to shut shop soon. Accepting a fraudulent payment unknowingly or hacking makes one refund the charges. Coughing up such sums, which may sometime be a large amount, is annoying. Financial consequences apart, a brand’s reputation takes a beating due to such data breaches and force loyal customers to retreat as they feel that their information is at risk. However, there is a piece of good news….using the right tools would instill trust within your customer base and minimize the threat of fraud though may not prevent such deceit tendency altogether. Definition: E-Commerce is a set of established procedures that guarantee to safeguard E-Commerce transactions. Inflexible and deterrent preventive measures in place would protect companies from being vulnerable to credit card fraud, virtual embezzlement of funds and instill customer trust. Phishing attacks: With the help of social engineering, a cyber attacker would pose as a trusted entity to mislead a victim into opening an email, text message or instant message. Phishing attacks generally target user data such as login credentials and credit card numbers. Credit card fraud: There are multiple vulnerable areas within an e-commerce site, that can help as an invasion point for a hacker to gain payment and user information. With the help of malware, he would extract the credit card information and even sell the data in grey markets. Fraud is then committed by fraudulently grabbing the maximum funds through e-commerce transactions such as ATM withdrawals or E-payments. What are the precautions to be taken by online store owners to strengthen the security of their website? In order to prevent Electronic Commerce threats, most E-Commerce platforms have a built-in dedicated security store features. The following ways will help online merchants to strengthen safer credit card processing and data security. The best way to keep your E-Commerce business protected from cyber criminal activity is to properly protect your security. Ensure your platform host has enough protections on an application-level such as contact forms, search tools and login fields in place. Check and confirm whether your hosting provider monitors all transactions for any kind of suspicious activity. You can even set up an alert system to flag potential threats like a billing address and shipping address that are not familiar or does not match, or multiple orders being placed by a single user with different credit cards numbers. Make sure your E-Commerce platform issues frequent updates and PCI scans to highlight any potential threats that may target your online store. Standard practice would be to have automatic updates by default in preventing new vulnerabilities to viruses and malware in order to safeguard your platform. Use an Address Verification System to facilitate safer credit card processing and to compare the billing address a customer has logged to what the credit card issuer has on file. An AVS will automatically separate legitimate transactions from fraudulent attempts. Card Verification Value or CVV is the three or four digit code on the reverse of a credit or debit card. Generally, under PCI standards, even if retailers record customers’ names, addresses and credit card numbers for future transactions, they are not allowed to store this number. Moreover, many cyber criminals have a credit card number, but not in physical form. A CVV requirement makes it much more difficult for a fraudulent transaction to be processed. Hackers generate customers’ passwords by using algorithms. These programs efficiently run through all the possible combinations for a four-digit alpha-numeric password quickly. Make it a thumb rule to have lengthy passwords with at least one special character and capitalization for more security. Let customers be known that implementing stricter and complex password is for their protection. In order to secure the data in transit during checkout, SSL certificates authenticate the identity of your business. This protocol keeps your company and your customers protected from having financial or important information compromised by hackers. In general, all E-Commerce platforms must strictly adhere to a set of policies and procedures that guarantee the security of payment via credit or debit card. In order to be PCI compliant, some of those measures to be followed are encryption, anti-malware software, extensive monitoring, risk analysis and with a provision to adopt more considering the risk factor. Make sure that your platform is well protected. 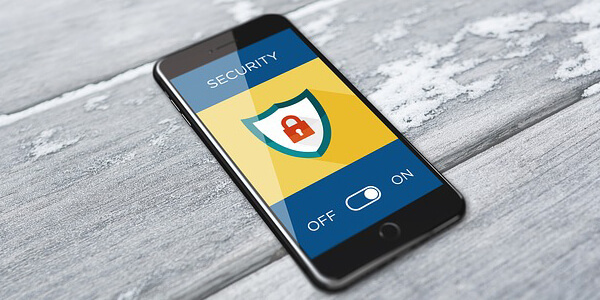 Most websites simply do not have the bandwidth to protect against a DoS/DDoS attack, however, in the fitness of things and considering the threat perception, the e-commerce platform you choose should have suitable security in place to counter any form of cyber threats.